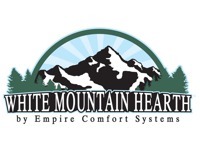 White Mountain Hearth is a division of Empire Comfort Systems, Inc. 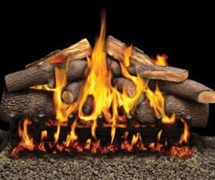 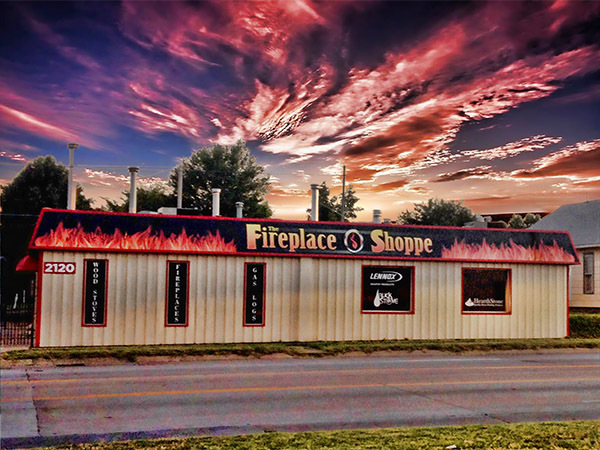 The White Mountain Hearth line has many innovative products available for you. 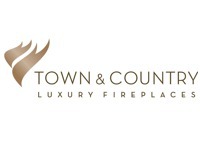 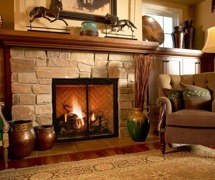 From vent-free and direct-vent fireplaces to cast iron stoves and realistic log sets, you will get quality and comfort from the White Mountain Hearth product line. 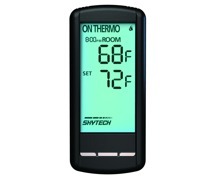 Direct-Vent system uses two vent pipes. 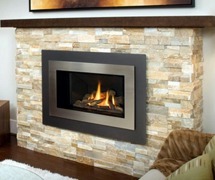 One draws air in from outdoors to support combustion. 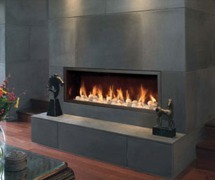 The other exhausts the by-products of combustion to the outside. 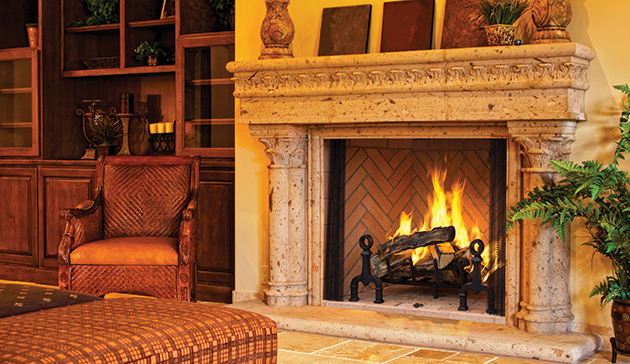 Start something beautiful…sacrificing style for warmth is a thing of the past Astria gas fireplaces are offered in a wide variety of venting options and styles. 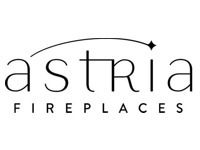 From traditional to contemporary there is an Astria gas fireplace to reflect your personal style and bring warmth to your home. 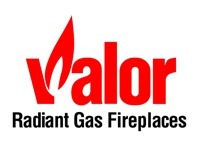 Warming homes since 1890, Valor continues to set new standards in gas fireplace efficiency, comfort control and fashionable design. 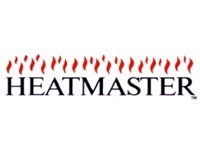 Heatmaster has developed a unique log molding process that has yielded the most attractive and realistic log sets available today. 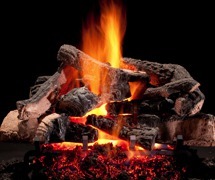 Their log sets are just as pretty for the 5 months a year when they’re not in use as they are with a roaring blaze surrounding them. 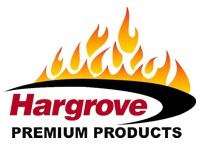 Hargrove’s Radiant Heat series vented log sets allow you to have the most realistic looking log set with all of the heat you want. 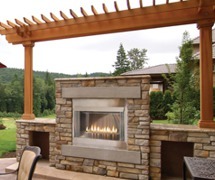 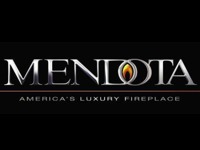 These Vented Gas Log Sets are made in the USA and feature the best warranty in the industry. 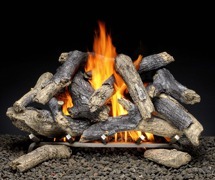 Combines large log and smaller branches with Match-Light burner features clean-burning technology. 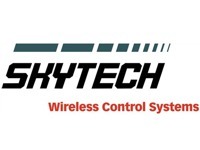 Skytech offers emote control systems for gas fireplaces, stoves, inserts and logs.